Peter Guillam, staunch colleague and disciple of George Smiley of the British Secret Service, otherwise known as the Circus, is living out his old age on the family farmstead on the south coast of Brittany when a letter from his old Service summons him to London. The reason? His Cold War past has come back to claim him. Intelligence operations that were once the toast of s Peter Guillam, staunch colleague and disciple of George Smiley of the British Secret Service, otherwise known as the Circus, is living out his old age on the family farmstead on the south coast of Brittany when a letter from his old Service summons him to London. The reason? His Cold War past has come back to claim him. Intelligence operations that were once the toast of secret London, and involved such characters as Alec Leamas, Jim Prideaux, George Smiley and Peter Guillam himself, are to be scrutinized by a generation with no memory of the Cold War and no patience with its justifications. To ask other readers questions about A Legacy of Spies, please sign up. Do you need to read earlier books with Smiley to follow this one, or can they be read out of order? I enjoyed the Circus books, but became frustrated with Le Carre's later works. His output devolved in to a series of bitter, deeply cynical, anti-American tracts. He won friends amongst the Left, and no doubt received accolades from The Guardians, but I wanted more story-telling and fewer polemics. So, a question: is Carre worth reading again? Or is it more of the same? I love his care with words. All those beautifully crafted understatements and sharp observations. I didn't expect to see Smiley and company again. I'm glad that I did. A reunion book, and quite a pleasurable one. Le Carré gets Smiley’s gang together one last time, knowing the reader will thrill at seeing them mashed against the modern world. It is particularly lovely to spend so much time in the head of the first-person lead Peter Guillam, who is as charming and caddish as ever, and whose misdoings are treated with great affection (there is even a clever wink at his gay retconning in the Oldman TINKER TAILOR film). The best moments here come with the now aged P A reunion book, and quite a pleasurable one. Le Carré gets Smiley’s gang together one last time, knowing the reader will thrill at seeing them mashed against the modern world. It is particularly lovely to spend so much time in the head of the first-person lead Peter Guillam, who is as charming and caddish as ever, and whose misdoings are treated with great affection (there is even a clever wink at his gay retconning in the Oldman TINKER TAILOR film). The best moments here come with the now aged Peter’s indignation at contemporary spy-craft (a highlight coming when he pretends to need hearing aids during an early interrogation scene), but alas the plot of the book does not live up to the fine character-work. It requires deep knowledge of THE SPY WHO CAME IN FROM THE COLD, which is not as good as the Karla novels, and spends way too much time filling in a minor back story from it. In fact, this review itself probably only makes sense if you know the characters already. The antagonist is somewhat disastrous – at one point he just develops an eidetic memory - and the late turns, save for the exceptional last one, are rushed. There is some interest in the interpolated Circus texts, which come in a lean present tense, but they can’t conceal the absence of action in the outer-frame. Fans will thrill to this, as I did. Le Carré is always a pleasure, particularly with these characters. His is that rarest mix of craft ability and addiction. I wish it were just a bit better, but I am very grateful for it, for him, and complaining seems petty. Peter Guillam, who was George Smiley’s assistant for several years, is an old man now. He is back in Brittany puttering on his family’s farm with assistance from Catherine and her little girl Isabelle. Then he receives a “request” to get himself to HQ in London immediately. He is then interrogated by the legal team for the Secret Service regarding an operation involving Alec Leamus and Elizabeth Gold; one that eventually cost them their lives. Both Alec and Elizabeth had a child from previous rel Peter Guillam, who was George Smiley’s assistant for several years, is an old man now. He is back in Brittany puttering on his family’s farm with assistance from Catherine and her little girl Isabelle. Then he receives a “request” to get himself to HQ in London immediately. He is then interrogated by the legal team for the Secret Service regarding an operation involving Alec Leamus and Elizabeth Gold; one that eventually cost them their lives. Both Alec and Elizabeth had a child from previous relationships, and the now grown-up children are suing the service and want financial compensation as well as heads rolling. Specifically, George Smiley’s and Peter Guillam’s heads. Alec’s and Liz’s stories are initially told in The Spy Who Came In from the Cold and I would recommend reading that one first as it gives a fuller background to this novel. I can say, however, that key sequences are covered by various communications that the legal team has excavated from top secret archives – some of them well hidden but dug up and turned over by the Service’s sharp pitchforks. Peter is instructed to read certain documents every day and is questioned on them. He finds his own lawyer, too, but isn’t sure he can completely trust her. And where is George Smiley? Peter needs him desperately but is technically under a form of “house arrest” until the matter comes before the Courts. This novel was published in 2017 and John Le Carré stated in an interview that one of the reasons he wrote the book was to “make a case for Europe” after Britain voted to leave the European Union by referendum. This novel is filled with tension and conflicts – of right vs wrong, of telling all and making matters worse or telling little and becoming the official sacrifice. There were aspect I learned about the initial Alec Leamus story that I had suspected and were now affirmed. There were other events that were a complete surprise. For Peter, after a long life of service, this inquiry hot seat is a terrible position to be in – and where is George Smiley? He is the only one who could release the full information on the operation that ended so badly; the only one who could put out the fire licking at the soles of Peter Guillam’s feet. "We don't pay a lot, and careers tend to be interrupted. But we do feel it is an important job, as long as one cares about the end, and not too much about the means." 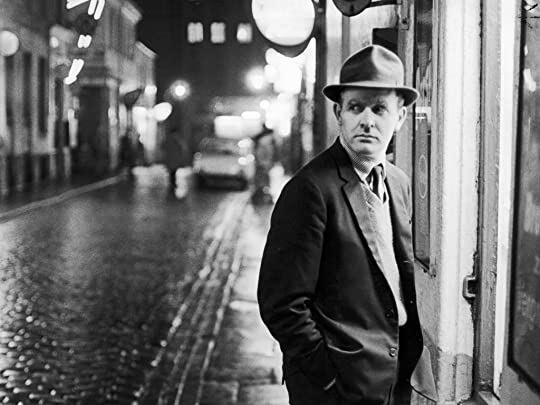 Le Carré's fiction career can be roughly be divided into two broad, angry worlds (if we ignore his brief, early attempt at crime fiction): Cold War espionage novels and post-Cold War espionage novels. 'A Legacy of Spies' bridges this gulf with one of the great characters from le Carré's early works "We don't pay a lot, and careers tend to be interrupted. But we do feel it is an important job, as long as one cares about the end, and not too much about the means." Le Carré's fiction career can be roughly be divided into two broad, angry worlds (if we ignore his brief, early attempt at crime fiction): Cold War espionage novels and post-Cold War espionage novels. 'A Legacy of Spies' bridges this gulf with one of the great characters from le Carré's early works (let's call them his Broadway House books) by placing one of the best characters from the Cold War, Peter Guillam, George Smiley's right-hand man, into his post-Cold War period (let's call these books his Vauxhall Trollop books). By doing this, le Carré essentially sets up a novel where the retired "heroes" of the Cold-War "Circus" are judged by the lawyers of Whitehall/Legoland/Vauxhall Trollop. An immensely satisfying conclusion to the George Smiley series. The clever plot manages to reference many of the classic Smiley books and plotlines, and also to drag them into the 21st century. This means we learn more about earlier stories and also what happened to some of the characters, not least Karla (in passing). Although Smiley himself is not physically present for the majority of 'A Legacy of Spies' his shadow touches every page. Timing-wise this new George Smiley book by John le Carré c An immensely satisfying conclusion to the George Smiley series. The clever plot manages to reference many of the classic Smiley books and plotlines, and also to drag them into the 21st century. This means we learn more about earlier stories and also what happened to some of the characters, not least Karla (in passing). ...and, to varying degrees, each is wonderful. Predictably, having reached the end of the series, I was left with a sense of loss. And then, to my delight and amazement, a new George Smiley book, 'A Legacy of Spies' arrived on 7 September 2017. I can categorically reassure anyone who loves the character and the series that this maintains the quality and the plotting that readers have come to expect. I savoured every page. Peter Guillam, Smiley's former right-hand man, and long retired, is centre stage in this novel. As the novel opens Guillam is enjoying life at his family home in Brittany. One day his peaceful life is disturbed by the arrival of an official letter from the Service summoning him back to England in connection with "a matter in which you appear to have played a significant role some years back". Guillam is apprehensive. He returns to a very 21st century new headquarters by the Thames where a pair of lawyers, the memorably faux-friendly Bunny, and businesslike Laura, during which the veteran Guillam uses all his knowledge to try to outfox this pair of interrogators. They want to know all about Operation Windfall (detailed in 'The Spy Who Came In from the Cold'). This protracted opening scene is John le Carré at his very best and brings Guillam slap bang into the modern world. From then on Guillam is forced to revisit his former life and consider the consequences of what happened. I discovered the best spy thriller writer of all time (and yes, I include Ian Fleming in that group) in the mid 1960s when I stumbled across a copy of The Spy Who Came in From the Cold. I have since read many, but sadly not all, of John le Carre’s novels, but certainly ALL of his Smiley books. Imagine my joy to find George Smiley, Alec Leamas, and Peter Guillam could reappear and that John le Carre had one more bit of behind the iron curtain story to tell us. Le Carre does what few can do...he pi I discovered the best spy thriller writer of all time (and yes, I include Ian Fleming in that group) in the mid 1960s when I stumbled across a copy of The Spy Who Came in From the Cold. I have since read many, but sadly not all, of John le Carre’s novels, but certainly ALL of his Smiley books. Imagine my joy to find George Smiley, Alec Leamas, and Peter Guillam could reappear and that John le Carre had one more bit of behind the iron curtain story to tell us. Le Carre does what few can do...he picks up the past, plops it into the present, and makes it work. I loved this old spy, called to account for a past that can barely be explained to the little snot-noses who now run the Circus, as much as I loved his younger version. And, to think that these characters could be revived 25 years later and still have the same effect is amazing. Proof, as if any was needed, that John le Carre is the BEST. Did I enjoy it? You bet. The effect it had on me was to make me want to sit right down and read all my Smiley books over again. I had truly forgotten how much fun it could be to read such an intelligent and twisty story. Who knew we would someday miss the Cold War? Who knew George Smiley wasn’t dead to us after all, just sitting in seclusion waiting for us to need him again? I was planning to give this 4-stars. It isn’t profound in the way that a classic is or life-altering the way some books are. However, I think it gets an extra point for just the sheer joy it brought me...and hey, these stars are mine to give...so a big, fat 5-stars to you sir, and hopes that this will not be the last wonder that falls from your mind onto paper. The most impressive aspect is the self-examination, described late in the story. Was all the effort poured into Cold War intelligence work worth it? Did it stop wars? Did we do it because they did? Or was it a case of politicians wanting to thin they are "one up" on the other fellow? And his European outlook is so refreshing. Reminds me of the heyday of Robert Maxwell's newspa If you're into stuff like this, you can read the full review. The most impressive aspect is the self-examination, described late in the story. Was all the effort poured into Cold War intelligence work worth it? Did it stop wars? Did we do it because they did? Or was it a case of politicians wanting to thin they are "one up" on the other fellow? And his European outlook is so refreshing. Reminds me of the heyday of Robert Maxwell's newspaper, The European". Maxwell's story is somehow akin to the world of Mr. Smiley, but will probably never be told. This is a powerful book, typically masterful Le Carré, full of betrayal and pain and heartless duty, pawns and pieces careening to the doom and tragedy we know is in their stars, and in ours. I did not want this book to end. None of us do. And yes, I cried. The bell tolls for us. A primer on George Smiley which you may find helpful. And yes, I very much recommend you first read The Spy Who Came in This is a powerful book, typically masterful Le Carré, full of betrayal and pain and heartless duty, pawns and pieces careening to the doom and tragedy we know is in their stars, and in ours. A primer on George Smiley which you may find helpful. And yes, I very much recommend you first read The Spy Who Came in from the Cold, or watch the extraordinary movie with Richard Burton, perhaps his finest performance. The impact of this, possibly Le Carré's last book, is far greater if you have lived his first. Sometimes I wonder whether it is possible to be born secret, in the way people are born rich, or tall, or musical. We talked, we sat on a bench, strolled, sat again, kept talking. My dear mother – was she alive and well? She’s fine, thank you, George. A bit dotty, but fine. Then my father – had I kept his medals? I said my mother polished them every Sunday, which was true. I didn’t mention that she sometimes hung them on me and wept. Somewhere along the road between Cambridge Circus and the Embankment, something has died, and it isn’t just the squeak of trolleys. Peter's new, "gruesome MI6, Lubyanka by the Thames"
In today's modern service, the new proprietors are just as lustful of secrets as the old guard, all secrets must become THEIR secrets. Brutally theirs, ripped vindictively from the past and its people, and stolen from today and tomorrow forever. But who are the heroes here, who the villains? This is Le Carré "putting his affairs in order", a closing of the loose ends of Smiley's life and his. For 50 years, I'm sure he was asked about plot holes and the actions of Smiley and the Circus spies in the tragic deaths of Alec and Liz in The Spy Who Came in from the Cold. So many questions, and 50 years of feeling the loss and pain as Liz is shot, and Alec finally comes in from the cold. Even now I mist up, remembering. And here we have Le Carrés resolution, the 1960s hidden actions and events, with the story driven today by unlikely orphans of Smiley's brilliance so long ago. The story flows so well but for a serious mistake by Le Carré: He chooses to read Guillam's flat, emotionless reports directly into the prose. Perhaps this is honest, or "accurate", but it's still dull and very dry. A chapter or two we might forgive, but 1/3 of the book? No. A serious mistake, sucking away the passion and tragedy, and much of the tension of the doom we know is coming. ... How much of our human feeling can we dispense with in the name of freedom, would you say, before we cease to feel either human or free? An early-morning flight from Bristol took me to Le Bourget. Stepping down the gangway, I was assailed by memories of [the girl]: this was my last sight of you alive; this was where I promised you that you would soon be reunited with [person]; this was where I prayed for you to turn your head, but you never did. Catherine has acquired a computer. She tells me she is making strides. Last night we made love, but it was Tulip I held in my arms. I saw Le Carré speak at the South Bank a few months ago on his life as a writer, on his most famous character, George Smiley, and his favourite character, Peter Guillam. It was truly wonderful, a fabulous evening in the company of a genius. After, he was asked about current politics and he lambasted the creeping fascism in the world today, especially Trump. “These stages that Trump is going through in the United States and the stirring of racial hatred … a kind of burning of the books as he attacks, as he declares real news as fake news, the law becomes fake news, everything becomes fake news. Even today, Le Carré said, Ang Sang Suu Kyi is speaking of “fake news” in Burma. William Paula wrote: "Terrific review, William! Loved this book!" After 50 years, to have The Spy Who Came in from the Cold so elegantly r Paula wrote: "Terrific review, William! Loved this book!" Paula Kalin William wrote: "Paula wrote: "Terrific review, William! Loved this book!" After 50 years, to have The Spy Who Came in from the Cold William wrote: "Paula wrote: "Terrific review, William! Loved this book!" After 50 years, to have The Spy Who Came in from the Cold so elegantly re-imagined and enhanced is both a joy and ..."
How often do you sit down and review a meeting with old friends? You may evaluate a business meeting, but this is something entirely different. John le Carré is revisiting some of the most freezing cold days of the Cold War, tying up a few loose ends and providing a little insider knowledge which is now safe(r) to disclose to the general public. It is like finding old friends on Facebook and getting to know what they have been up to for the last decades, just in this case, the exchange of news is s How often do you sit down and review a meeting with old friends? It is like finding old friends on Facebook and getting to know what they have been up to for the last decades, just in this case, the exchange of news is sadly mostly about other departed friends. During this there is the underlying theme of duty versus conscience, a theme John le Carré has spent most of his writer´s career exploring. Not surprisingly he is hitting at the tendency to look at every historical event through modern eyes, our tendency to put blame on people – and not any secret service in particular – without taking the circumstances under which they lived and acted into consideration. In "A Legacy of Spies" John Le Carré takes us from the present day back to the time and setting of his most famous book "The Spy Who Came in From the Cold." As the story opens Peter Guillam, a former protegé/right-hand-man of spy-master George Smiley, is a senior citizen living on his ancestral farm in Brittany. The elderly Guillam is summoned back to London by the British Intelligence Service ('the Circus') to answer questions about a cold war operation that went badly wrong. During the mission - decades ago - British agent Alec Leamas and his girlfriend Elizabeth Gold were shot dead at the Berlin Wall. Now, Leamas' son (Christoph) and Gold's daughter (Karen) have joined forces to sue the British spy agency for milllions of pounds.....for the wrongful deaths of their parents. Two current honchos at the Circus - a man called Bunny and a woman named Laura - are investigating the case, hoping to stave off the lawsuit. They can't find George Smiley - who's apparently gone deep underground - so they want Guillam to tell them the whole story about the operation that got Alec and Elizabeth killed. The 'whole story' is quite complicated, but I'll provide the basic outline (avoiding spoilers). During the cold war an attractive East German woman named Doris Gamp - a low level employee of the Stasi - became disenchanted with her life. Doris's Stasi husband was a closet homosexual who beat and abused her, and Doris's Stasi boss was a pig who expected sexual favors. The one light in Doris's life was her five-year-old son Gustav. Wanting to help 'reform' communist East Germany - so creepy men wouldn't have all the power - Doris began photographing secret Stasi documents and passing them to the British. The Circus dubbed the espionage operation 'Wallflower' and Doris was given the codename 'Tulip.' Peter Guillam became Tulip's contact, and being a notorious ladies' man, fell in love with her. Such relationships were STRICTLY FORBIDDEN by the Circus, so Peter kept his trap shut about it. Over the course of time Tulip passed priceless information to the west. Eventually, Tulip's husband became suspicious of her activities, and exposure seemed imminent. 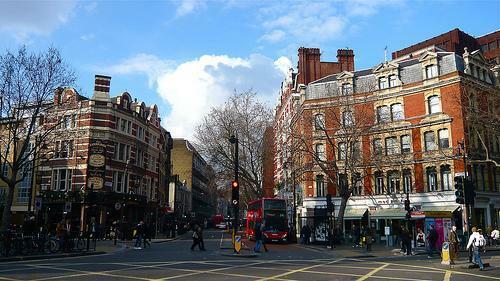 So British agent Alec Leamas, a seasoned operator, took it upon himself to exfiltrate Tulip to Britain. Unfortunately, little Gustav couldn't go but Leamas promised that mother and son would be reunited at a later time. Alec and Tulip's exfiltration trip was quite harrowing, and provides the major excitement in the story. In any case, a tragedy ensued and - due to various circumstances I can't divulge - a high-placed Stasi spy called Hans Dieter Mundt was forced to become a double agent for the British. Later, when the Stasi began to suspect Mundt of double-dealing, Alec Leamas undertook a super-secret mission to save the communist's skin and keep him in power. The task required a female sidekick, so Elizabeth Gold - a naive English girl who happened to be a communist - was roped into the operation by Peter Guillam. Alec and Elizabeth became involved romantically and - when things went belly up - ended up dead. Christoph Leamas blames the British Intelligence Service - and especially Peter Guillam - for his father's death. Christoph, a big man who's no stranger to criminal activity, means to get restitution one way or another. Thus Christoph stalks elderly Peter, tries to extort him, and threatens his life. From the point of view of the Circus, proof of this entire cold war operation - which greatly benefitted Britain - would make Cristoph and Karen's lawsuit moot. However, only George Smiley knows the location of all the pertinent documents, and he can't be found. I'd highly recommend this book to all readers who like espionage novels, especially fans of John Le Carré. As ever, Le Carre is the master of narratives of dissimulation and regret at the lies that have fractured the lives of his protagonists. This book is entrancing, lovely even, in it's exploration of the life of a former spy, Peter Guillam, whose actions and sacrifices are being questioned in the post-cold war world, all the more so because his training in secrecy and non-disclosure means he doles out as much mis-information as revelations during interrogation. Ironically, the spies of the modern As ever, Le Carre is the master of narratives of dissimulation and regret at the lies that have fractured the lives of his protagonists. This book is entrancing, lovely even, in it's exploration of the life of a former spy, Peter Guillam, whose actions and sacrifices are being questioned in the post-cold war world, all the more so because his training in secrecy and non-disclosure means he doles out as much mis-information as revelations during interrogation. Ironically, the spies of the modern era cannot determine what the spies of yesterday were up to behind the operation Le Carre related in his breakthrough book, The Spy Who Came In from the Cold. Will the current government hang Peter out to dry for apparent sins done in the name of fighting communism? How much of the truth can be revealed, and to whom? Is Peter a scapegoat or an engineer of human tragedy that deserves to be punished? As a narrator his prevarications will leave you teetering between these perspectives until the very end. The ending itself is set up brilliantly, but sputters a bit in the final pages -- there are no fireworks, instead a dying away to embers. Fitting perhaps as the Cold War itself dissipated in a moment of euphoria to be replaced with new tensions and new subterfuges that call for different sorts of spies. The book gains strength in being by read as a companion piece to The Spy Who Came In from the Cold, as well as resonating with Tinker Tailor Soldier Spy: The Karla Trilogy Book 1 (George Smiley. It can be read independently, but will spoil both of the those books for readers who are new to the world of The Circus and George Smiley. Take the time to read the first book, it's short and well worth it, before you tackle this one. This book was wonderful. It sucked me in right away. A word of caution after reading this. Don’t read the Smiley books out of order. They all tie into one another and this sews up the whole series. It especially references back to “The Spy Who Came In From The Cold” and “Tinker, Tailor, Solider, Spy”. So if this is your first reading of a Smiley book, there is going to be some confusion. Saying anymore about this book will spoil the outcome. I especially hope this will not be the last LeCarre novel This book was wonderful. It sucked me in right away. A Legacy of Spies is virtuoso spy-writer John le Carré revisiting George Smiley and his Circus agency cohorts in a sequel to The Spy Who Came In From The Cold and Tinker, Tailor, Soldier, Spy. The main character this time, however, is Peter Guillam, the chief lieutenant to M16’s Sensei Wu, George Smiley. Long retired, the elderly Guillam is called to London due to several lawsuits threatening to expose the Cold War subterfuge from the early 1960’s (the events that comprise The Spy Who Came In Fr A Legacy of Spies is virtuoso spy-writer John le Carré revisiting George Smiley and his Circus agency cohorts in a sequel to The Spy Who Came In From The Cold and Tinker, Tailor, Soldier, Spy. The main character this time, however, is Peter Guillam, the chief lieutenant to M16’s Sensei Wu, George Smiley. Long retired, the elderly Guillam is called to London due to several lawsuits threatening to expose the Cold War subterfuge from the early 1960’s (the events that comprise The Spy Who Came In From The Cold). To be honest, the spy agency is not exactly sure what has occurred during these top-secret operations and unable to find George Smiley, their lawyers have procured Guillam to answer their questions. Unsure of the angles the other players are working, Guillam is about as forthcoming as a college freshman telling his folks what happened at the kegger last Friday night. But slowly the memories from his past begin to connect like pieces in a jigsaw puzzle. Told mainly from recollections and pilfered top-secret documents; and relying heavily on the incidents from the previous novels, A Legacy of Spies can be a little hard to get into by the uninitiated. But like walking on a frozen pond, once you break through, you will find yourself on an incredible breakneck adventure that is sure to challenge the way you perceive the world at large. Le Carré demonstrates the writing skill of a heavyweight champ. No word is wasted and no phrase superfluous leaving only a tale as forceful and driving as a bullet. One of the things I always enjoy about Le Carré is how mundane his spies can be. They could just as well be the same schmos working retail. Or they could be the schlemiels in outside sales peddling vacuum cleaners as to being clandestine agents mastering the dark art of espionage. You can picture their wrinkled shirts, stooped postures, and heavy guts—these are not James Bond operatives. And this makes their moral collapse, the sacrifice of their honor for useless results even more tragic. Because these aren’t superheroes—just ordinary Joe Sixpacks trying to do the right thing and failing horribly at it. A fine effort by le Carre in his most recent offering. Here we are looking at a situation where the current spy agency is both questioning and trying to undermine Operation Windfall that involved George Smiley and all his fellow Cold War agents. Much of this book is seen as a series of flashback as set forth in Agency memos and notes. I really enjoyed the book and it made me a bit peeved at the new political correctness that pervades agencies who do not have a historical perspective to understan A fine effort by le Carre in his most recent offering. Here we are looking at a situation where the current spy agency is both questioning and trying to undermine Operation Windfall that involved George Smiley and all his fellow Cold War agents. Much of this book is seen as a series of flashback as set forth in Agency memos and notes. I really enjoyed the book and it made me a bit peeved at the new political correctness that pervades agencies who do not have a historical perspective to understand and appreciate what their predecessors had to go through during that time period. The book really makes it appear that the British Covert agencies are on trial for "collateral damage" deaths that occurred in the Cold War, while at the same time being blind to the actions and counteractions that were undertaken by the East Germans and Russians. For 25 years, I called him "John Le Car". In Dhaka in the 90s, there was no one to tell me the correct pronunciation, no one to explain that the accent aigu over the "e" turned the name into "John Le Cah-ray" or, translated into English, John the Square. It didn't matter though because, Le Car or Le Cahray, he was one of the writers, alongside Orwell, Maugham and Simenon, that I spent a great deal of time obsessing over during the nineties. Fresh out of college and gleefully skipping university classes, I collected his books from the shabby pavements of Nilkhet and Paltan, reading and rereading them, especially The Spy Who Came In From The Cold which, with its ashen-grey authenticity and its absolutely chilling amorality, made such a lasting impression upon me that even two decades later, I was sending it as a gift to a political scientist friend who had just told me that she was teaching a college course on the Cold War to a bunch of American undergraduates! Some books become THE classic example of their genre. They represent such a pinnacle of achievement that all other books in the genre must necessarily refer to them, are permanently indebted to them and, just as permanently, fail to measure up to them. When it comes to the Cold War spy thriller, The Spy Who Came In represents that peak, making all other works to some extent superfluous; in the long run, its survival alone will suffice for literature and for posterity. And so it was with great surprise and pleasure that I found out, on opening THIS book on a flight to Dublin last week, that it is both a prequel and a sequel to that tale of woe that Le Carré published all the way back in 1963. I actually went to the author's book talk that accompanied its publication last year (though I didn't delve too much into the book itself). 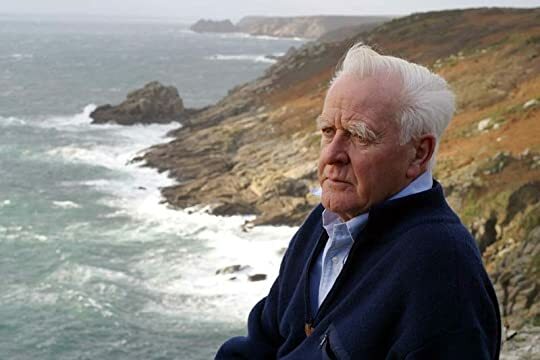 John Le Carré is almost 87 years old now, and he no longer does public appearances. So the talk he gave at London's Southbank Centre was a true rarity, and the 2,740-seat hall was packed to capacity in anticipation. Le Carré did not disappoint. What astonished me was both his physical fitness and his mental acuity; for nearly two hours, this octogenarian stood on his feet, spinning out stories and memories, regaling the audience with his waspish humour and pointed observation. Not many characters, not many books find an afterlife more than half a century later. But Le Carré clearly felt that George Smiley and the Circus deserved one final valedictory, a last literary kiss before both he and his ageless characters drift off into eternity. And so A Legacy of Spies. It is essentially the story behind the story of Alec Leamas and Liz Gold, describing the events that led up to their doomed love affair, and its aftereffects rippling out into the present day. The narrator is our old friend Peter Guillam, summoned from bucolic retirement in Brittany, dealing with the brittle suits of today's MI6, trying to protect those secrets and lies that mattered so much in the early sixties but seem so strange and anachronistic and even redundant in these techno-glorious hyper-modern times. It's odd, travelling through eastern Europe today and talking to young Poles and Ukrainians, to realize that the earnest shadow boxing of the Cold War is not even a faded memory for them. It's only the diminishing sum of the grubby recollections of their aging parents and grandparents. But that is the ancient mud that Le Carré has chosen to roil up in this book, with somewhat - I have to say - mixed success. Guillam must be close to 80 now, and Smiley for his part has to be nearing his hundredth birthday. But Le Carré has managed to turn them both into timeless heroes, pickled in the aspic of skulduggery across the ages, much like James Bond or our very own Masud Rana. That legendary Le Carré prose is as lavishly delicious as ever. At times it reminded me of a particularly rich ice-cream, at other times of a smoothly purring German auto engine. Basically one of life's hedonistic pleasures, which the old man is still well capable of serving up to his devoted readers. As for the plot, a lot of complicated carpentry has gone to successfully bolt on a backstory to The Spy Who Came In, and some of the seams do show. The best parts of the book are the first two thirds, especially the operational devilry of the TULIP operation that Guillam describes in all its nefarious glory via multifarious sources. The final third though, I felt was somewhat anticlimactic, if not actually ho-hum. But that may be as much due to the reading gap imposed upon me by a long weekend as to any inherent defect in the story. One of the godfathers of spy thrillers returns to the battlefield with A Legacy of Spies. It’s hard to ignore the legacy of John Le Carré himself when brought to reflect upon the whole universe of espionage that he was able to bring to life, from Tinker, Tailor, Soldier, Spy to The Spy Who Came in From the Cold. His latest novel serves as a fantastic throwback to his greatest work and brings back one of his signature characters, George Smiley, i You can find my review on my blog by clicking here. The story also greatly relies on transcripts and past communications written with code names and technical spy language. While at first it was fun to follow the dialect and watch the evolution behind all these communications, you should be wary of how things can sometimes be quite confusing and easily lose you if you don’t remember a spies countless different names. It’s not a major issue since there are moments where you’re reminded, in parentheses, who’s who. But when the plot suddenly complicates itself with the addition of a couple sub-plots, you’ll wish that you had read Tinker, Tailor, Soldier, Spy and The Spy Who Came in From the Cold, and that you had taken note on all these names. However, here’s the thing. With spy novels, misdirection, deception and coded language are all part of the game. John Le Carré does an exemplary and astounding job at creating a seamless story that brings this spy world to life. It’s the whole thinking-twice-before-saying-something and the silly-names-for-serious-things-or-people that make this so much more fun after all. Thank you to Penguin Random House for sending me a copy for review! The old master may have lost a half step, but a sequel to THE SPY WHO CAME IN FROM THE COLD still has no right to be this good. Read this for Bookclub. Just never got going for me. I know le Carre is big on character and intellect, but I found the plot a little of a bore. I also found the ending/resolution a little too simplisitic, as if everything needed to fall into place to satisfy the reader. you really need to have read lecarré's other books to understand what's happening in this one. it's kind of a greatest hits album from an amazing author. 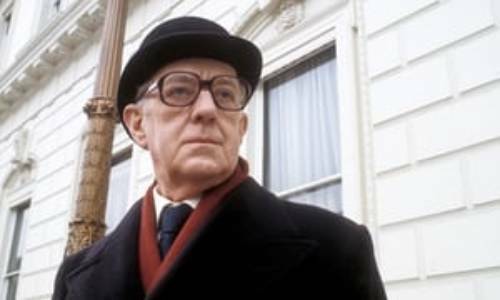 The consummate British spy George Smiley originally appeared in 1961 in John le Carré's Call for the Dead, his first novel. The last time he was a central character was 1979 in Smiley's People, nearly forty years ago. (His most recent appearance, but only as a supporting character, was in The Secret Pilgrim, published in 1990.) Now, decades later, Smiley surfaces again in the background in le Carré's twenty-fourth novel, A Legacy of Spies (2017). 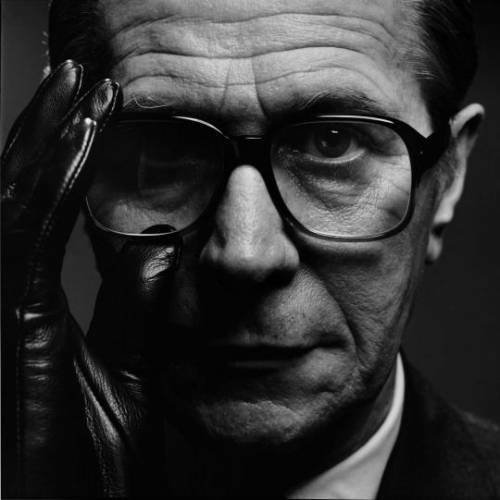 Given the author's six-decade career as a novelis The consummate British spy George Smiley originally appeared in 1961 in John le Carré's Call for the Dead, his first novel. The last time he was a central character was 1979 in Smiley's People, nearly forty years ago. (His most recent appearance, but only as a supporting character, was in The Secret Pilgrim, published in 1990.) Now, decades later, Smiley surfaces again in the background in le Carré's twenty-fourth novel, A Legacy of Spies (2017). 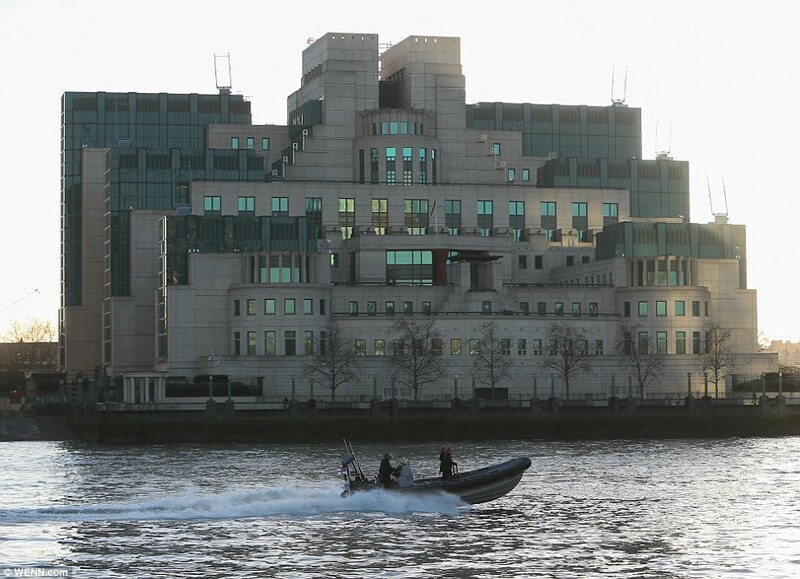 Given the author's six-decade career as a novelist, the decade he had spent as an intelligence officer for both MI6 and MI5, and the worldwide popularity of his work, Smiley's reappearance in 2017 is a major event in the publishing world. And, luckily, A Legacy of Spies is worth all the fuss. Decades earlier, late in the 1950s and early in the 60s, Peter Guillam had served as a young MI6 officer under the legendary George Smiley, then serving one step below Control as "Head of Covert." Smiley and Control had involved him in a spectacularly devious operation named Windfall that targeted East Germany's Stasi. Now, many years later, Guillam is an old man, retired to the family farm in Brittany. An urgent summons calls him to London, where he learns that he and Smiley have been sued by the children of two people who fell victim to that old operation—and, worse, Members of Parliament are threatening an investigation that has the potential to cause great damage not just to them personally but to the Secret Intelligence Service as a whole. Peter is sequestered in a run-down safe house and interrogated by an unpleasant pair of officers who are convinced that he and Smiley were responsible for the two deaths and for causing Windfall to fail in a disastrous fashion. Peter Guillam discípulo de Georges Smiley (chefe dos espiões) estava sossegado na sua casinha em uma área rural da Inglaterra quando recebe uma missiva o convocando a comparecer à Londres onde será interrogado por uma comissão que investiga o passado Dele e de seus colegas de espionagem para o serviço secreto Britânico , também chamado de Circus. A razão para isso é que está chovendo processos de pessoas que se dizem lesadas por atos cometidos por essa instituição,e agora os advogados prec Peter Guillam discípulo de Georges Smiley (chefe dos espiões) estava sossegado na sua casinha em uma área rural da Inglaterra quando recebe uma missiva o convocando a comparecer à Londres onde será interrogado por uma comissão que investiga o passado Dele e de seus colegas de espionagem para o serviço secreto Britânico , também chamado de Circus. A razão para isso é que está chovendo processos de pessoas que se dizem lesadas por atos cometidos por essa instituição,e agora os advogados precisam juntar provas, depoimentos para armar uma estratégia de defesa. Para isso irá pressionar , sugar todas as forças de Peter para que conte tudo o que ocorreu, os sucessos,os fracassos de cada operação , bem como contar tudo sobre as pessoas envolvidas nas espionagens naquela época nebulosa da Guerra fria. This reads like a finale, a summing-up and reckoning of le Carre's spy novels. It gives an alternate perspective on the events from THE SPY WHO CAME IN FROM THE COLD, in the service of a contemporary tale of espionage chickens coming to roost. It's also gripping and relentless; it takes a lot of skill to make dossier reading exciting, and le Carre has it. And if this is, indeed, the last of his novels set in the world of George Smiley and the Circus, it's a fitting end. "When the truth catches up with you, don't be a hero, run," Peter Guillam intonates just as he thinks he's about to be murdered. How did Guillam, retired from the Service, or the Circus, as he and Smiley called it, get there. With that statement, John LeCarre' conveys what his writing for the last 40 years has been about. 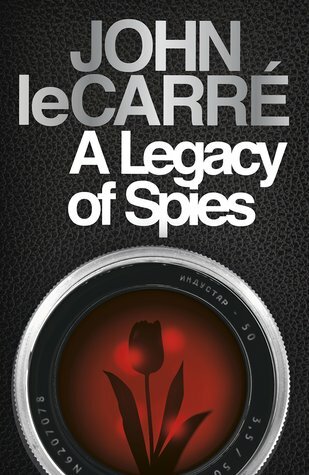 LeCarre scorns the gamesmanship of the Secret Service when it should be involved in the pursuit of peace, recognizing the need for operatives like himself, Smiley, Prideaux, and "When the truth catches up with you, don't be a hero, run," Peter Guillam intonates just as he thinks he's about to be murdered. How did Guillam, retired from the Service, or the Circus, as he and Smiley called it, get there. With that statement, John LeCarre' conveys what his writing for the last 40 years has been about. LeCarre scorns the gamesmanship of the Secret Service when it should be involved in the pursuit of peace, recognizing the need for operatives like himself, Smiley, Prideaux, and Guillam. He loathes the public school and Oxford elite like Percy Allelien, Bill Hayden, the Circus mole responsible for the murder of British spies and for destroying the spy networks, and the internal politics which lead to innumerable botched operations. Answering this question for an old man (I happen to be one, too, but with a stretch more to go to reach Cornwall's perch) is tough and often depressing under the best of circumstances. But, it is the essential question that all old men (and women) must ask if they are honest, or as Cornwall, speaking through Peter Guillam contemplates, did I take accountability for my individual actions. This book was kind of average, a lot of telling what happened (mostly in the past) It's full of briefs and debriefs and reports and all sorts of spy-verbiage-reporting. It's a dry read in that regard. There's also very little 'action,' and believe me, I like the cerebral stuff any day of the week. But not a lot happens, unless it's in the past, and then it's all discussed, analyzed, and looked at from every possible angle one can imagine. The story revolves around Peter Guillam, a colleague and protogee of the iconic figure, George Smiley, and what happened to whom, when and why, back in the early 1960's. Peter is older now, situated on a nice farm in Brittany, leading a very pleasant, happy, and (semi) retired life. He's called back to England when the children of some former spies (or joes/informants/agents, call them what you will; I got that part all mixed-up) decide to sue for the wrongful deaths of their parents. Of course, what was vital then - during the height of the Cold War - and what's happening now - with current politics and over-litigation, etc., etc. - are parts of two very different worlds. But fact is, Peter is being sued, and the young(er) people going after him don't really care about very much other than the fact that their parents are DEAD and SOMEONE has to PAY. Like a lot of Mr. le Carre's books, this one is complex. You need to be fully awake while reading him. He mentions something ONCE and you better remember it, or you're going to get lost in the woods very, very quickly. I did like the sections on the Stable, a safe house containing secret documents going back almost 60 years. I also wish there'd been a bit more action, a little less of the constant reporting, as well as some kind of indicator to know which decade we were in. Time goes back and forth from present to the 60's without much of a clue until you read for several paragraphs. More than once I had to stop and re-read as my head was in 1961, but the events were in the present-day, or vice versa.